Evan Goldman is about to turn thirteen, and he can’t wait. His life seems full of possibilities -- that is, until his parents get divorced, and he is forced to move with his mom from big-city New York to podunk Appleton, Indiana. If Evan can’t get the coolest kids to come to his bar mitzvah, how is he going to survive the school year, not to mention, the rest of his life? As Evan navigates the world of cool kids and nerds, jocks and cheerleaders, first kisses and heartbreak, he comes to understand "What it Means to Be a Friend." 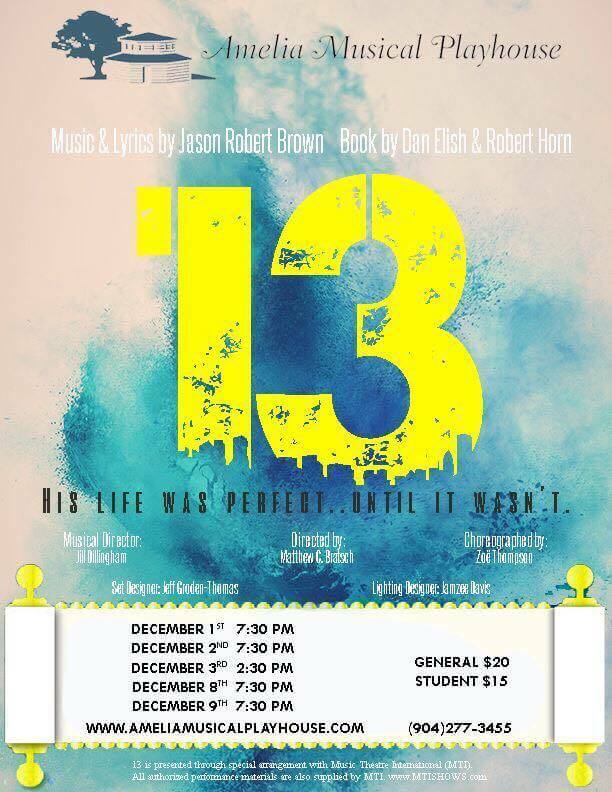 With a bright, catchy pop score from Jason Robert Brown, equal doses of humor and pathos, and a cast of wildly talented teens, 13 is irresistible to grown ups and almost-grown ups alike.